Alan Turing was one of the most influential thinkers of the 20th century. In 1935, aged 22, he developed the mathematical theory upon which all subsequent stored-program digital computers are modeled. At the outbreak of hostilities with Germany in September 1939, he joined the Goverment Codebreaking team at Bletchley Park, Buckinghamshire and played a crucial role in deciphering Engima, the code used by the German armed forces to protect their radio communications. Turing's work on the version of Enigma used by the German navy was vital to the battle for supremacy in the North Atlantic. He also contributed to the attack on the cyphers known as 'Fish' which were used by the German High Command for the encryption of signals during the latter part of the war. His contribution helped to shorten the war in Europe by an estimated two years. After the war, his theoretical work led to the development of Britain's first computers at the National Physical Laboratory and the Royal Society Computing Machine Laboratory at Manchester University. 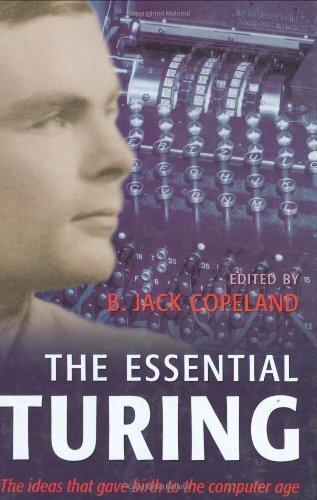 Turing was also a founding father of modern cognitive science, theorizing that the cortex at birth is an 'unorganized machine' which through 'training' becomes organized 'into a universal machine or something like it' He went on to develop the use of computers to model biological growth, launching the discipline now referred to as Artificial Life. 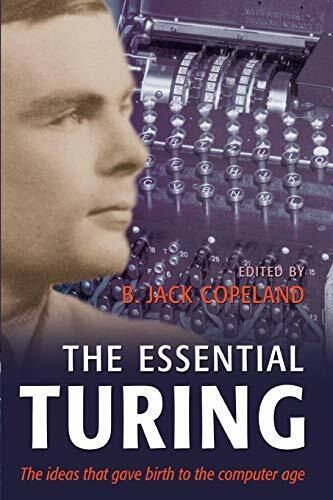 The papers in this book are the key works for understanding Turing's phenomenal contribution across all these fields. The collection includes Turing's declassified wartime 'Treatise on the Enigma'; letters from Turing to Churchill and to codebreakers; lectures, papers, and broadcasts which opened up the concept of AI and its implications; and the paper which formed the genesis of the investigation of Artifical Life. B. J. Copeland is Reader in Philosophy at the University of Canterbury, New Zealand.